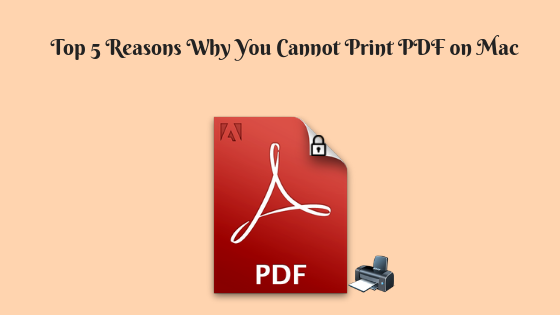 Why Users Face PDF File Printing Problems? There are many perks of using PDF format to store and exchange information. The major advantage is the level of security that one can apply on PDF file. One is allowed to apply multiple types of password security like a user-level password to open the PDF file. A user can apply owner-level security also to restrict PDF for print or for any other operation. Thus, when a user comes across such type of restricted PDF file, it becomes difficult for them to print. Nowadays the most frequently asked query over the internet is “Why I cannot Print PDF on Mac Machine”. So, in this blog, you will get the answer to all your questions with the respective solution also. There can be several possible reasons due to which a user is unable to print PDF files on Mac Machine. In order to know all about them, stay with us. Your PDF file in print-restricted and you do not have permission password. It can be possible that due to restrictions the user is unable to print PDF files on Mac Machine. It means an unauthorized user is not allowed to perform a print operation on it. The user should have either the permission password to unlock PDF or switch to some third-party tool to print secured PDF document. Mac PDF Unlocker is one of the finest application that is totally committed to solve PDF file printing PDF files. It can easily remove all type of restrictions from PDF file. A user can unlock secured PDF files for print, copy, edit, signature, etc. Apart from this, one can remove restrictions from PDF files in batch also. It does not require owner-level or permission password to remove print restrictions from PDF document. The best part of the tool is that it does not require any Adobe application on the Mac machine. A user is allowed to run this PDF Unlocker on Mac OS X 10.8. and above version. 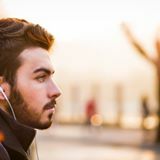 Another possible reason due to which you cannot print PDF on Mac Machine is that your system is unable to detect the printer after connecting it via a USB cable or Wi-Fi. Moreover, when a user tries to check this out in the control panel, the Printers option is not showing any connected device. It can be because of outdated printer drivers. In order to fix this issue, a user needs to look for the latest up-to-date printer drivers. After that, simply install them on your Mac machine. It is recommended that download drivers from the official website. If a user still finds PDF file printing problems even after updating the drivers, try to connect the USB cable of printer again with your computer. It might be possible that during print operation, colors or text is not showing up properly. It’s because there is some problem in the cartridge inside your printer. Therefore, to fix the issue, try to change the cartridge of your printer and test it by printing a page. But, if still he/she cannot print PDF on Mac Machine, there might be some issue related to hardware. You can contact the manufacturer for the solution in this case. It might be possible that you are unable to locate the printing option in the application you are using. Then, it is clear that the PDF program you are using does not contain printing PDF files option. In such type of situation, a user needs to update the PDF viewer or look for some other PDF tool. Most of the users save all its important information in PDF format. Therefore, taking print of that PDF document is the most basic requirement of any user. But, in some scenarios users are unable to print PDF files on Mac. Therefore, why I cannot print PDF on Mac Machine is one of the topmost searches over the internet. To make all situations clear to the users, we have covered multiple reasons with the respective solution to fix PDF file printing problems.